Look pretty in pink this party season with this satin blazer. 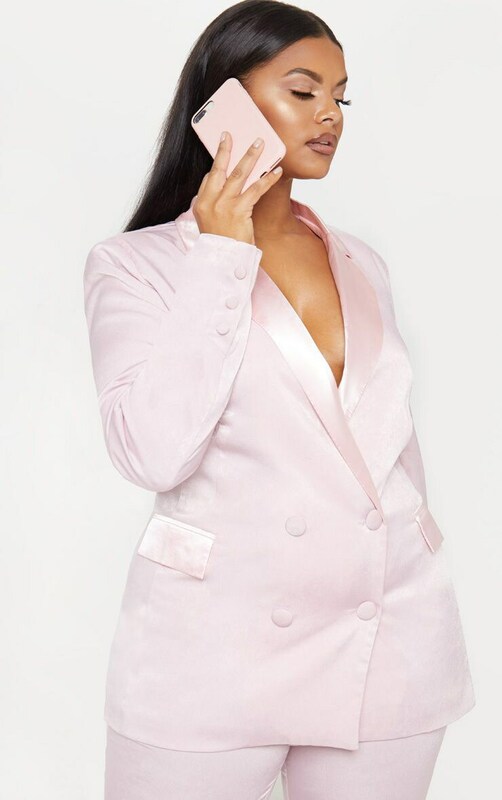 Featuring a light pink satin material with a button fastening and a blazer fit. Team this with the matching wide-leg pants and strappy heels for a look we are loving.